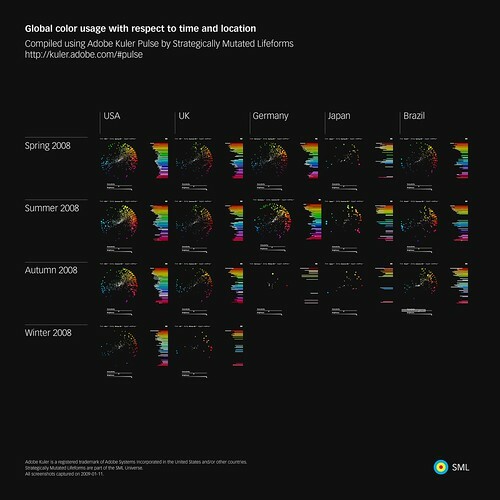 Using data collected from Adobe Kuler, Adobe teamed up with Stamen and created Adobe Kuler Pulse, a fantastic user interface allowing users to explore colors with respect to geographical location and time. I liked the idea but wishes to see if there are any observable patterns, and that's when I created the following diagram using micro/macro principals. Some nice folks put it on Web Designer Depot as one of 25+ Useful Infographics for Web Designers a week ago, which is quite an honor. Adobe Kuler is a registered trademark of Adobe Systems Incorporated in the United States and/or other countries. Strategically Mutated Lifeforms are part of the SML Universe. All screenshots captured on 2009-01-11. Automatic payments are a great feature for many credit card users who do not want the hassle of a monthly paper bill. Each month, your payment is automatically deducted from the account that you choose, either your standard checking account or bank of america locations other business account. No need for stamps or handwritten checks. Plus you do not need to worry about the possibility of late payments and the fees that go along with them. If set up automatic payments for multiple credit cards, you can view your account activities all on one statement.